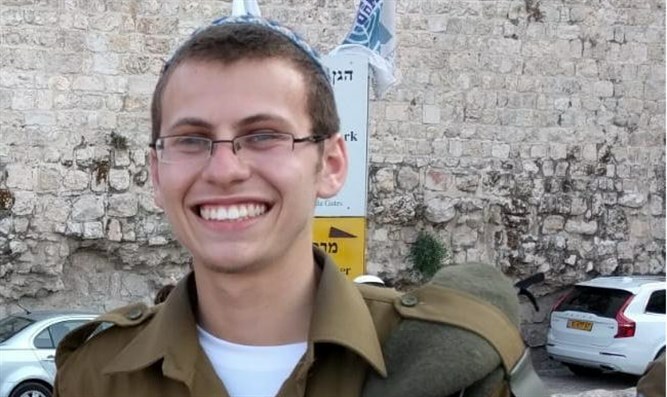 Nathaniel Felber, wounded in Givat Assaf attack, remains in very serious condition. 'He opened an eye, but we don't know if he'll wake up'. Nathaniel Felber, the 21-year-old IDF soldier who was wounded in a shooting attack last month, remains in very serious condition, as doctors continue to fight for his life. Felber and three other people were shot in a terrorist attack at Givat Assaf Junction north of Jerusalem on December 13th. Sergeant Yuval Mor-Yosef, 20 from Ashkelon, and Corporal Yosef Cohen, 19 from Beit Shemesh, were killed in the attack. Felber and 20-year-old Shira Sabag of Beit El were both seriously wounded. All three of the soldiers shot in the attack were members of the Nahal Haredi (Netzah Yehuda) Battalion. Doctors from the Hadassah Ein Kerem Medical Center’s intensive care unit neurosurgery unit reported that Felber’s life is still in danger. Felber’s brother, Daniel, told Army Radio that while Nathaniel remains in very serious condition, he has shown some signs of improvement.